I went to the Forbidden City last week. Unfortunately I couldn’t really enjoy it. My mind is always on my problems. Nothing can be done. One blatantly obvious observation is the Chinese government’s willingness to monetize the Forbidden City. In addition to numerous stores inside the Forbidden City there is also a bank machine and of course a Starbucks. How convinient or as they say in Chinese “fung bien”. I’m afraid to try typing Chinese characters, though I know WordPress can handle Japanese if set up correctly. The key phrase is set up correctly. 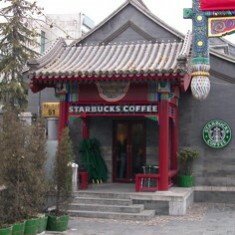 Apparently there hasn’t been a Starbucks in the Forbidden City for many years now, but apparently there will be a Luckin Coffee in the Forbidden City soon. This is one of many industries where a Chinese National Champion fights the imperialist aggressors. Alas Chinese consumers often prefer foreign brands and on the whole Chinese companies have failed to build strong brands worldwide. The US is currently in a trade war with China and President Trump seems unable to decide who takes greater advantage of the American people China or Canada, apparently the US National Security Council has a clearer understanding of who are America’s allies and enemies. 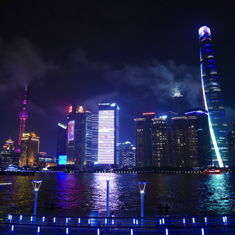 I’m once again living in China and am actively looking for a new job, but I was reminded of this old blog post by Twitter, so it gets a token update as I’ve drank a lot of coffee in China studying for both an MBA and the CFA Charter. This entry was originaly posted on September 18th, 2005 , it was last edited on February 14th, 2019 and is filed under: Asia and tagged: Beijing, Cafe, Forbidden City.